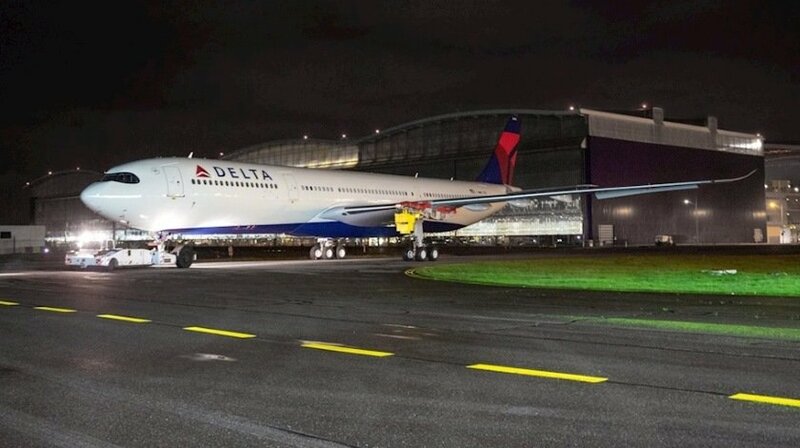 Delta’s first A330-900neo left the Airbus paint shop in Toulouse, France, sporting its signature Delta livery. Though at first glance, the aircraft might look ready for takeoff –​​ a closer look reveals something major still missing: the plane’s engines, which will be painted separately and mounted in the coming days. Delta will be the first North American operator of the A330-900neo, which will offer the latest in innovative design and technology for customers. Delta’s A330-900neo will feature all four branded seat products – Delta One suites, Delta Premium Select, Delta Comfort+ and Main Cabin – a move Delta is making across its widebody fleet to give customers greater choice than ever before.